As I wrote yesterday on my, ahem, music critic Web log, I have been listening to "The Sound of Music" because it turned up on my desk. It is the 50th anniversary of the Broadway musical version. This version stars Theodore Bikel who was one of my legendary bad interviews. Well, I wrote about that yesterday. I feel bad that I goofed my interview with Bikel because he gets some things right as Captain Von Trapp that Christopher Plummer did not. That is because Bikel came from Austria and he has this German accent and somehow he just knows how Germans behave because he is one, you know? There is this part where they do the Laendler dance. It is the big romantic moment when the Captain and Maria acknowledge their attraction to each other. She is teaching the kids the dance and then the Captain walks in and cuts in and dances with her. In the movie Christopher Plummer says something courtly like "Allow me." But on YouTube today I was hearing a Broadway recording of the Laendler scene and Bikel does not do that. Instead you hear him kind of shouting: "No! You're doing it all wrong!" That is the way Germans behave! All this drama got me remembering the summer when I lived "The Sound of Music." I was a governess! I had forgotten all about it. There were these two girls in Williamsville I was watching. They were in my charge. I think I was 17 though I may have been 16 and then again, I may have been 18. Or maybe I was 15. Oh, who knows. Anyway, my dad got me this job because he was a teacher at Williamsville South and he learned of it somehow. Every day for this one summer I went and was governess to these two girls who were 7 or 8. I do not remember their last name but their first names you could not forget. They were Nicole and Dahlia! They were beautiful girls. Dark-haired. Twins. One of them had short hair and one had long hair. That was how they asserted their independence. Here is a snapshot I have held on to of myself arriving for my first day of work. It was some kind of divorce situation and the girls were with their mom. When I went over there it was not as if I was a just plain babysitter. There were other adults there. Sometimes it was the mom and sometimes it was the dad. And it was like "The Lonely Goatherd" because we had to put on a play once as entertainment when the parents had a garden party. I put the girls in costumes and rehearsed them and we did "Cinderella." I put makeup on them. The girls loved that because their family was Orthodox Jewish and normally they would not have gotten to do that. They also loved that I got hold of an altar boy outfit somehow and one of them got to dress up in it and be a priest. I guess we got some other kids too because we pulled off this play somehow. It was a hit and all the adults were sitting around laughing. Afterwards the father said to me, "I see this was an excuse to let them wear makeup." But he was laughing about it. And I still remember what I said to him. I said, "It's all in the name of art." 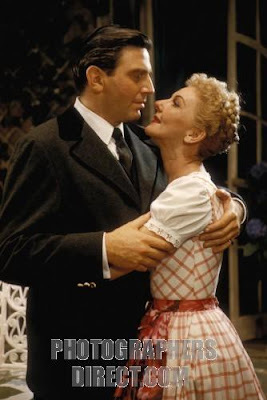 That was where he should have asked me to dance the Laendler with him, me being Maria to his Captain von Trapp. But zut alors, I am afraid he missed his cue. One thing that was funny about these girls was once we were playing with paper dolls. And they named the dolls Ginger and Therese. They said those were the most glamorous names they could think of! And I am thinking, what about your own names? Nicole and Dahlia? It is funny how much about your life you forget. Here was this whole summer in my life and I can hardly remember it. Just like now it is getting on two years after my winter with Leonard Pennario and I will tell you this, I thank God I wrote down everything I did. I am always looking at my notes and saying, "He said that to me? I don't remember that." All the dramas we live and we forget. Mary, just wait until you get to be my age! You shall have a new perspective, lol! Complication of aging: When it was pointed out to Mark Twain that he had retold an event in a way that included all the happenings, but garbled the sequence of events, he looked startled, like someone looks at you when you abruptly wake them up. Then he said, "Once, I could remember everything whether it happened or not, but now it seems I only remember the latter." 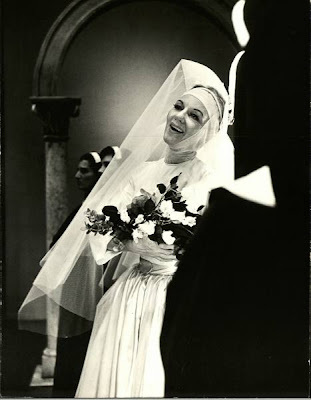 Great story as a postscript to "Sound of Music"-- Julie Andrews was finishing a run of a play. 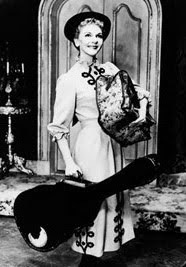 When she came out for a curtain call, she discovered that the words to "Edelweiss" had been passed out to the cast and audience, and they all sang it to her. Halfway through, Christopher Plummer (appearing down the street) walked on stage and joined in. Not a dry eye in the place. OhmyGod, Mare, me, too -- like pulling teeth. (But then, this was post-Robert Goulet. Was anyone going to compare favorably? No, they were not.) Isn't that the best album? My grandparents saw this Broadway production, and he loved to reminisce about looking over and seeing his wife beaming with tears rolling down her face as Mary Martin began singing "My day in the hills..."
Please say you still do.